In the last three blog posts, we have reviewed the preface to Wallace D Wattles’ book, The Science of Being Well, and Chapter 1 – the Principle of Health. This week we continue with Chapter 2 – The Foundations of Faith. If you have not yet read the last 3 parts, please consider doing so, as many of the same terms and concepts will apply here, and will make this chapter considerably easier to understand. All blue text is mine for emphasis and was not included in Mr. Wattles’ book. Chapter 2, the Foundations of Faith, is included here for your convenience. This is not a commentary on religion, although you could make it be so; it is not intended to place fault or blame, although you could make it do so. It is presented for your consideration and to stimulate your thinking. Please take from it what you will, and feel free to leave the rest! Enjoy! I have included the book chapter 2 for your enjoyment! Until next week – Stay well and have a fabulous week! All things are made from one Living Substance, which, in its original state, permeates, penetrates, and fills the interspaces of the universe. While all visible things are made from It, yet this Substance, in its first formless condition is in and through all the visible forms that It has made. Its life is in All, and its intelligence is in All. This Substance creates by thought, and its method is by taking the form of that which it thinks about. The thought of a form held by this substance causes it to assume that form; the[Pg 18] thought of a motion causes it to institute that motion. Forms are created by this substance in moving itself into certain attitudes or positions. When Original Substance wishes to create a given form, it thinks of the motions which will produce that form. When it wishes to create a world, it thinks of the motions, perhaps extending through ages, which will result in its coming into the attitude and form of the world; and these motions are made. When it wishes to create an oak tree, it thinks of the sequences of movement, perhaps extending through ages, which will result in the form of an oak tree; and these motions are made. The particular sequences of motion by which differing forms should be produced were established in the beginning; they are changeless. Certain motions instituted in the Formless Substance will forever produce certain forms. Man’s body is formed from the Original Substance, and is the result of cer[Pg 19]tain motions, which first existed as thoughts of Original Substance. The motions which produce, renew, and repair the body of man are called functions, and these functions are of two classes: voluntary and involuntary. The involuntary functions are under the control of the Principle of Health in man, and are performed in a perfectly healthy manner so long as man thinks in a certain way. The voluntary functions of life are eating, drinking, breathing, and sleeping. These, entirely or in part, are under the direction of man’s conscious mind; and he can perform them in a perfectly healthy way if he will. If he does not perform them in a healthy way, he cannot long be well. So we see that if man thinks in a certain way, and eats, drinks, breathes, and sleeps in a corresponding way, he will be well. The involuntary functions of man’s life are under the direct control of the Principle of Health, and so long as man[Pg 20] thinks in a perfectly healthy way, these functions are perfectly performed; for the action of the Principle of Health is largely directed by man’s conscious thought, affecting his sub-conscious mind. Man is a thinking center, capable of originating thought; and as he does not know everything, he makes mistakes and thinks error. Not knowing everything, he believes things to be true which are not true. Man holds in his thought the idea of diseased and abnormal functioning and conditions, and so perverts the action of the Principle of Health, causing diseased and abnormal functioning and conditions within his own body. In the Original Substance there are held only the thoughts of perfect motion; perfect and healthy function; complete life. God never thinks disease or imperfection. But for countless ages men have held thoughts of disease, abnormality, old age, and death; and the perverted functioning resulting from[Pg 21] these thoughts has become a part of the inheritance of the race. Our ancestors have, for many generations, held imperfect ideas concerning human form and functioning; and we begin life with racial sub-conscious impressions of imperfection and disease. This is not natural, or a part of the plan of nature. The purpose of nature can be nothing else than the perfection of life. This we see from the very nature of life itself. It is the nature of life to continually advance toward more perfect living; advancement is the inevitable result of the very act of living. Increase is always the result of active living; whatever lives must live more and more. The seed, lying in the granary, has life, but it is not living. Put it into the soil and it becomes active, and at once begins to gather to itself from the surrounding substance, and to build a plant form. It will so cause increase that a seed head will be produced containing thirty,[Pg 22] sixty, or a hundred seeds, each having as much life as the first. Life cannot live without increasing, and the fundamental impulse of life is to live. It is in response to this fundamental impulse that Original Substance works, and creates. God must live; and he cannot live except as he creates and increases. In multiplying forms, He is moving on to live more. The universe is a Great Advancing Life, and the purpose of nature is the advancement of life toward perfection; toward perfect functioning. The purpose of nature is perfect health. The purpose of Nature, so far as man is concerned, is that he should be continuously advancing into more life, and progressing toward perfect life; and that he should live the most complete life possible in his present sphere of action. Give a little child a pencil and paper, and he begins to draw crude figures; That which lives in him is trying to express Itself in art. Give him a set of blocks, and he will try to build something; That which lives in him is seeking expression in architecture. Seat him at a piano, and he will try to draw harmony from the keys; That which lives in him is trying to express Itself in music. That which lives in man is always seeking to live more; and since man lives most when he is well, the Principle of Nature in him can seek only health. The natural state of man is a state of perfect health; and everything in him, and in nature, tends toward health. Sickness can have no place in the thought of Original Substance, for it is by its own nature continually impelled toward the fullest and most perfect life; therefore, toward health. Man, as he exists in the thought of the Formless Substance, has perfect health. Disease, which is abnormal or perverted func[Pg 24]tion—motion imperfectly made, or made in the direction of imperfect life—has no place in the thought of the Thinking Stuff. The Supreme Mind never thinks of disease. Disease was not created or ordained by God, or sent forth from him. It is wholly a product of separate consciousness; of the individual thought of man. God, the Formless Substance, does not see disease, think disease, know disease, or recognize disease. Disease is recognized only by the thought of man; God thinks nothing but health. From all the foregoing, we see that health is a fact or TRUTH in the original substance from which we are all formed; and that disease is imperfect functioning, resulting from the imperfect thoughts of men, past and present. If man’s thoughts of himself had always been those of perfect health, man could not possibly now be otherwise than perfectly healthy. There is a Thinking Substance from which all things are made, and which, in its original state, permeates, penetrates, and fills the interspaces of the universe. It is the life of All. The thought of a form in this Substance causes the form; the thought of a motion produces the motion. In relation to man, the thoughts of this Substance are always of perfect functioning and perfect health. Man is a thinking center, capable of original thought; and his thought has power over his own functioning. By thinking imperfect thoughts he has caused imperfect and perverted functioning; and by performing the voluntary functions of life in a perverted manner, he has assisted in causing disease. If man will think only thoughts of perfect health, he can cause within himself the functioning of perfect health; all the Power of Life will be exerted to assist him. But this healthy functioning will not continue unless man performs the external, or voluntary, functions of living in a healthy manner. Man’s first step must be to learn how to think perfect health; and his second step to learn how to eat, drink, breathe, and sleep in a perfectly healthy way. If man takes these two steps, he will certainly become well, and remain so. Sue is a Master Life Coach specializing in working with groups to release past trauma and move them forward in life. 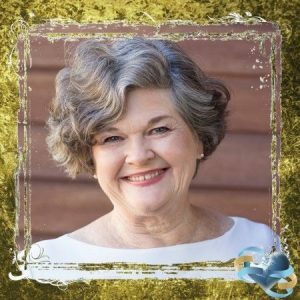 Sue has nearly 30 years of experience as a bodyworker working with mind-body connections, including visualization and dialogue along with hands-on bodywork, to release emotional trauma in the body and mind. She has worked with infants, children, adults and families in individual and group settings. Sue is known locally as, “the therapist’s therapist.” Her first book is titled, "Muscle Energy Technique Made Easy for Healthcare Professionals".